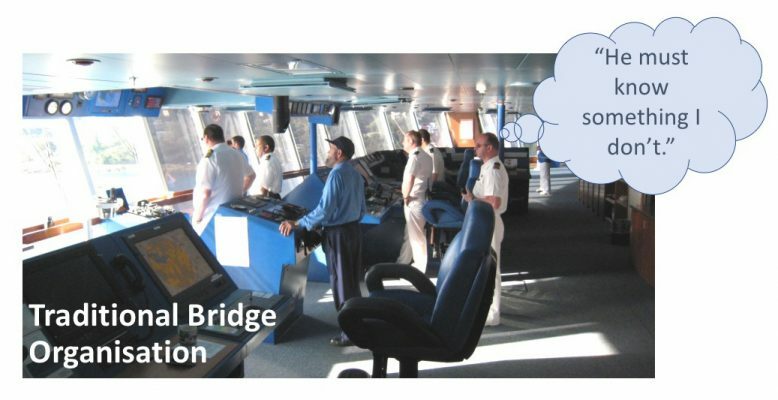 Traditional top-down hierarchies in bridge organization need to be revisited (picture from Hans Hederström, CSMART). 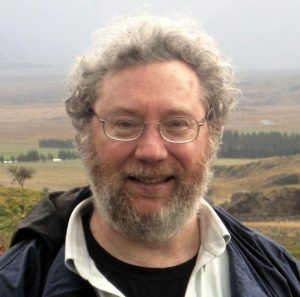 About the authors: Rick Thoman works as the Climate Science and Services Manager for the U.S. National Weather Service Alaska Region and is based in Fairbanks, Alaska. He works as a translator of subseasonal to seasonal scale climate outlook information to Alaska users and in strategic planning in order to better serve the environmental needs of Alaskans. Machiel Lamers is an Associate Professor with the Environmental Policy Group of Wageningen University in the Netherlands. 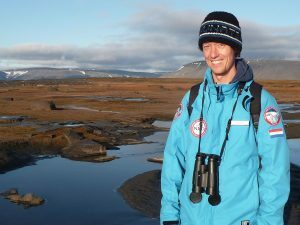 He leads the SALIENSEAS project that focuses on understanding and tailoring marine climate services for various maritime users in the European Arctic. Improved polar prediction requires much more than additional observations, improved process understanding, higher resolution or more accurate numerical models. Such advances in the physical sciences must be accessible to potential users in a form and fashion appropriate to their needs and resources. Across the polar regions, these users range from small indigenous communities scattered across the circumpolar Arctic, to regional industries and governmental activities relying on public weather services or private providers for information, to multi-national commercial ventures that may fund their own extremely specialized weather or sea ice products for their own uses. The Polar Prediction Project (PPP) has a task team on Societal and Economic Research Applications (PPP-SERA). It’s role is to help PPP to advance its mission in the development of improved weather and environmental prediction services for the polar regions, on time scales from hourly to seasonal, by bringing social science expertise to the complex web of how people throughout the polar regions make use of this information, and how enterprises can maximize value to society of improved science. To do this, the Task Team has been working to understand the user needs for weather, water, ice and climate information for the polar regions in order to feed their decision-making processes. This has been done through ongoing YOPP-endorsed projects and by taking advance of access to practitioners during their annual PPP-SERA meetings. In conjunction with the 2018 PPP-SERA annual meeting, an open session was held with the European Polar Board (EPB) in The Hague, Netherlands on April 18th, 2018. About 30 people attended the meeting, representing a variety of organizations and interests. PPP-SERA Open Session at the European Polar Board in Den Haag, The Netherlands (photo: Joseph Nolan/EPB). The meeting opened with a brief presentation on the work of EPB by Executive Secretary Renuka Badhe, followed by short overviews on YOPP and the PPP-SERA Task group work. After these introductory presentations, PPP-SERA members Gita Ljubicic and Rick Thoman discussed the relevance of weather, water, ice and climate information for indigenous communities in Alaska and the Canadian Arctic. They stressed the incongruence between the micro-scaled spatial and temporal experience of indigenous communities traveling across the sea ice and the resolution of weather and sea ice projection currently available. 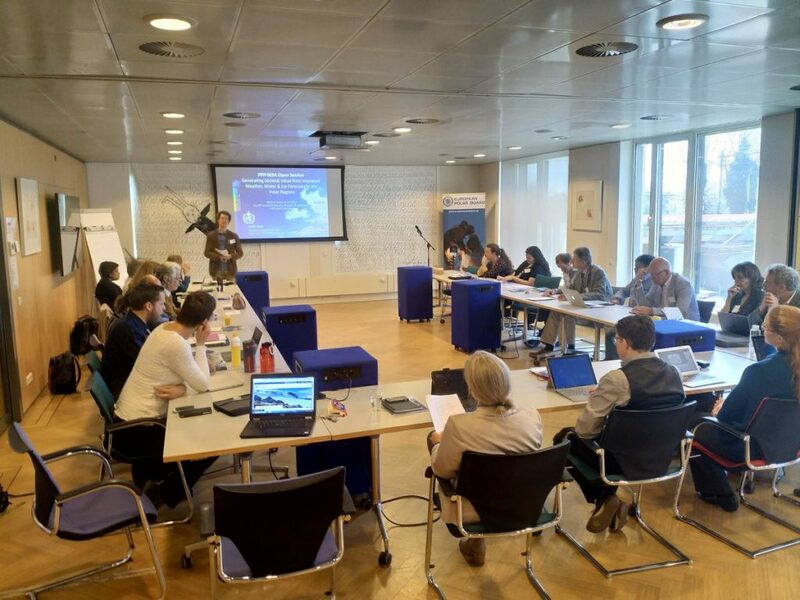 Several invited stakeholders from the Netherlands and Belgium followed with presentations on their view of polar prediction and operational or strategic decision making. 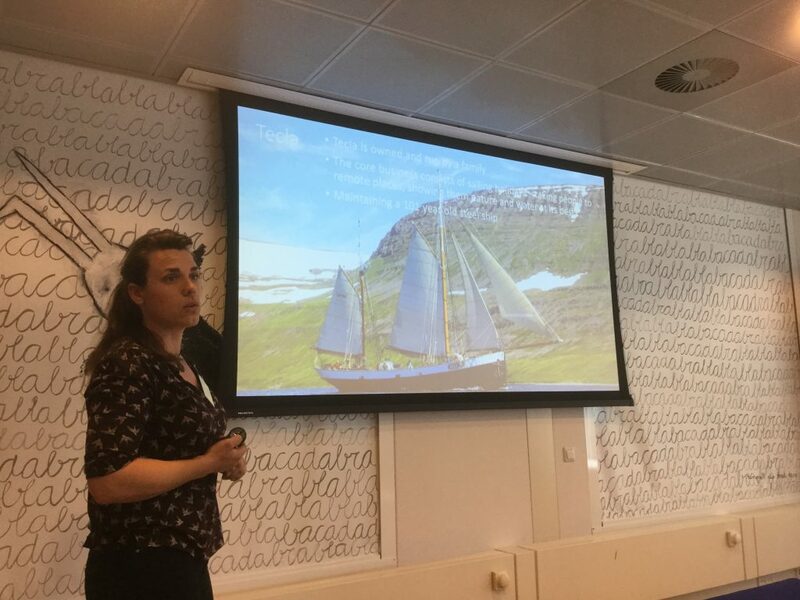 First, Jet Sluijk (pictured below) of Tecla Sailing, a family owned and operated sailing venture, outlined their operations and use of weather and ice information in Greenland waters. As master sailors who try and provide their clientele with unique experiences, visiting places that only a sailing vessel can reach, Tecla relies on both modern weather forecasts and their experience in interpreting winds, waves and atmospheric pressure patterns. Next year, the company is looking into the possibility of offering voyages through the Northwest Passage, and would need to access new (for them) types of weather and ice information. Captain and first mate of Tecla sailing vessel Jet Sluijk providing insights on daily operations onboard the more than 100 years old fishing boat (photo: Kirstin Werner). Ship Master Johan Buysse provided the group with an overview of maritime operations in first year sea ice in the Baltic Sea region, how the realities of ice navigation require specific information to feed what are often rapid decisions. In particular, he noted that sea ice and superstructure icing are dual and often simultaneous hazards around the Baltic, but there real-time information on sea ice conditions is more readily available than on icing threats. These kinds of information needs for ice operation decisions can be expected to be applicable to larger areas in the Arctic during the coming decades as the Arctic increasingly becomes a first year ice regime. Hans Hederström, director of Carnival Corporation’s Center for Simulator Maritime Training Academy (pictured below), gave the group a thought-provoking overview of the importance of human interpersonal dynamics in the decision-making process and how critical this is when environmental information needs to be included. He noted that in most maritime mishaps one or more members of the bridge crew were aware that something was amiss but lacked the organizational structure or support to voice their concerns. 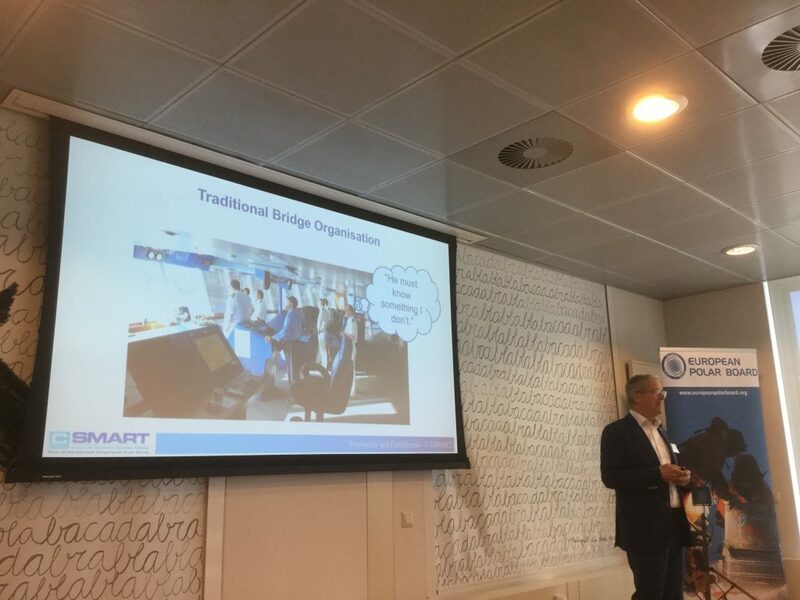 Hans Hederström from CSMART provided a thought-provoking overview of the importance of human interpersonal dynamics in the decision-making process on a ship’s bridge (photo: Kirstin Werner). The presentations were followed by an open discussion, providing an opportunity for input of other attendees and allowing for sharing of a wide breath of experience. Discussion topics ranged from key information needs experienced by various user groups, critical environmental conditions or decision-making contexts in which this information becomes indispensable, the fragmented way in which relevant weather, water, ice and climate information is currently provided to end-users, and potential improvements in environmental forecast delivery. Several important commonalities emerged during the course of the session. These included access to information for the appropriate spatial and temporal scale. Additionally, observations, analyses and forecasts, of whatever type or format, are only parts of a richer decision matrix, with personal experience and non-environmental factors playing varying but important roles in the ultimate outcomes.